Vixone Nebulizer: This Nebulizer Offers A More Optimal Particle Size So The Patient Gets More Medicine. That Means Less Residual Medication In The Cup After The Treatment. No Wonder It'S One Of The Best! Available In Various Kits To Suit Your Patients' Needs. 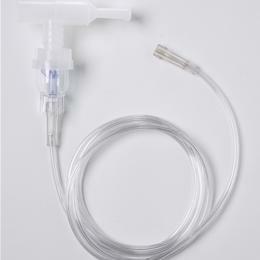 Nebulizer, Pediatric Mask 7 Ft. Tubing.